A booze-fuelled dangerous driver who put motorists in danger after swerving into the wrong side of the road and narrowly avoiding collisions has narrowly been spared from jail. Derby Crown Court heard on Monday, April 23, how Trevor Sims, 53, was seen by a witness causing chaos while driving at over three-times the drink-drive limit between the A57 at Worksop and the A619 at Clowne. Prosecuting solicitor Becky Allsop had told a previous Chesterfield magistrates’ court hearing that witnesses had seen a vehicle swerving and almost colliding with a central reservation. She added that one witness followed the vehicle as it drove to the A60 Mansfield Road and it was speeding at 70mph and swerving into the wrong side of the road and causing oncoming vehicles to take evasive action. 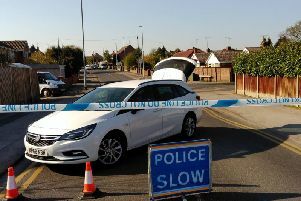 The witness also stated Sims’s vehicle continued to drive erratically on the A60 having near collisions with oncoming traffic before it went to the A619. The defendant turned at a roundabout and clipped a kerb, according to Mrs Allsop, before continuing at high speed on the wrong side of the road around blind bends. Mrs Allsop said empty cans of alcohol were found in the vehicle by police. The case had been committed to Derby Crown Court where Sims was sentenced on Monday. He received eight-months of custody suspended for 12 months with a Rehabilitation Activity Requirement, an Alcohol Treatment Requirement, and a Changing Offending Behaviour Programme. Sims was also ordered to participate in a Drink Impaired Drivers Programme. He was further disqualified from driving until he completes an extended re-take of his test following a two-year disqualification. Sims must also pay £250 costs and a £140 victim surcharge.